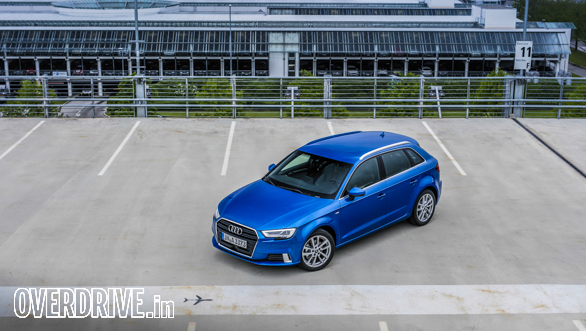 The forthcoming Audi A3 in the 2.0-litre diesel trim, the car that is being offered to Indian consumers for certain, is like a savings account. It's bankable! What I don't like about it is that it's got no character. 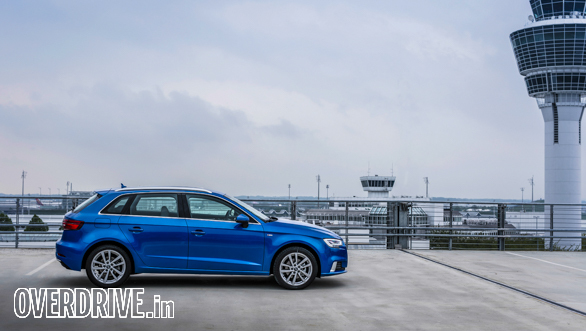 The 1.0-litre A3 has got character, and the 2.0-litre TFSI S3 has got character, drama and personality! 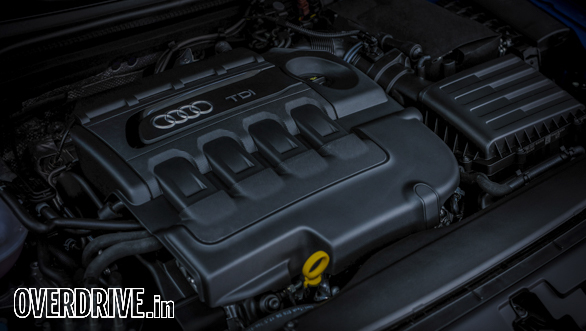 The 2.0-litre TDI A3 is middle class. It's the kind of car that your dad says will give you returns. I'm not the safe investor; I like a bit of a risk! 1. It's got a 150PS engine with a healthy 340Nm of max torques. It will go about its job dependably, and that makes it a great first car for someone wanting to step up into the German premium segment for the first time. The wave of torque gives it good drivability, and of course it's got the new 7-speed S-tronic automatic transmission. It's simple and has no read the fine print anywhere. And it displaces 1,968cc which means in Delhi and Kerala, it escapes the silly 2,000cc diesel engine ban by a whisker! 2. It's a lovely cabin, it's got a great set of features and the virtual cockpit is simply mind-numbing. It's a large LCD screen that switches between various faces, sometimes showing you a standard speedo tacho combination. You can switch it to a map visual where the entire instrument console turns into the navigation map and the speedo and tacho meters are dismissed to smaller units at the lower corners of the screen. 3. It's got brilliant ride quality. With quattro, which is Audi speaks for all-wheel drive, it also offers a reasonably good and secure handling package. You can push this car hard through almost anything, and the levels of grip and precision will surprise you. As a compact sedan, it's also got a small footprint so you can throw this car around in traffic with ease. It's not intimidating, and the torque and handling combination will always work in your favour. But not everything is hunky-dory, and there are an equal number of things to frown upon. 1. Its biggest drawback, as I mentioned, is its lack of character. It's a dependable, likeable car, like the girl next door who wears glasses, spends her nights studying, has no ink and is registered on Tinder! 2. Interior space isn't fabulous, but it feels better than the Mercedes-Benz CLA. The roofline isn't sloping. 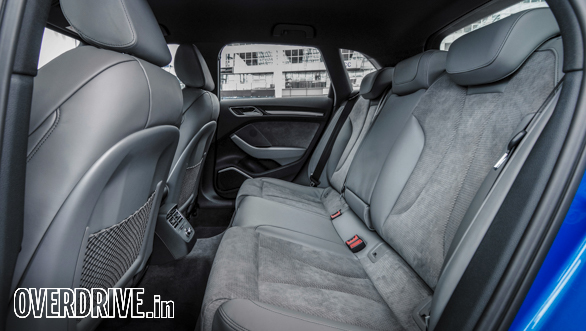 It's a proper sedan without any of the dramatic flourishes of its principal competitor, so headroom isn't an issue for rear-seat passengers. And beyond these two issues, I really couldn't find much else that's lacking in this sedan. Oh, I like the sportback shape much better than the sedan. But, as Indians, we somehow seem to value a sedan more than a body shape that is simply so much sexier and still just as practical! Go figure! 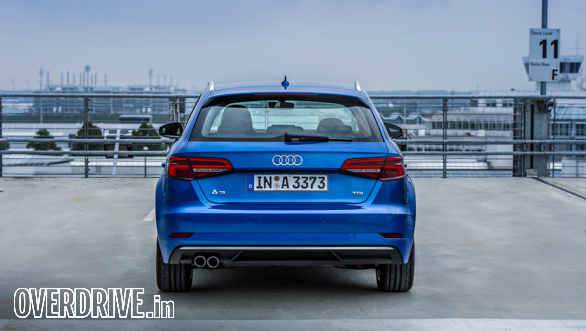 So overall then, the new Audi A3 gives you your money's worth, but then again so does a fixed deposit!